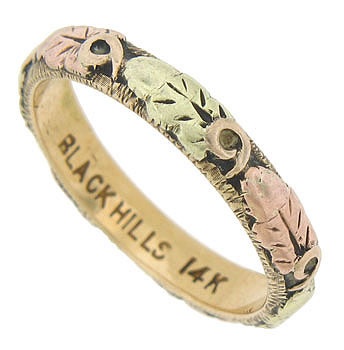 This spectacular 14K tri-color wedding band is a truly lovely example of Black Hills gold. 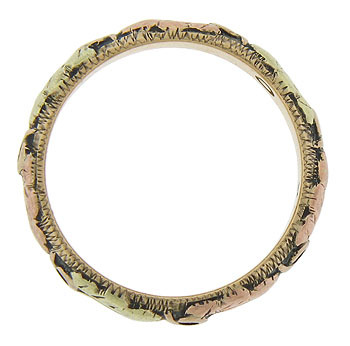 It features a traditional leaf design with attached figures of red and green gold on an intricately engraved yellow gold band. 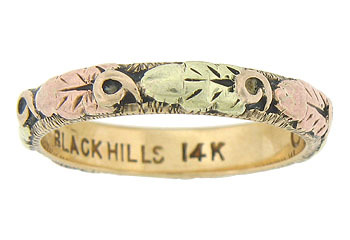 The estate wedding ring measures 3.03 mm in width. Circa: 1980. Size 5 1/4. We cannot re-size.